The 3rd edition of The Amazing Adventures of a Marginally Successful Musician is now available. This edition has even more updates and corrections, which should make for a better read. My grammar is much more better now. I have replaced “hoo” with “hoom” several times just so my teachers at Yonkers High School and Westchester Community College know I was paying attention. 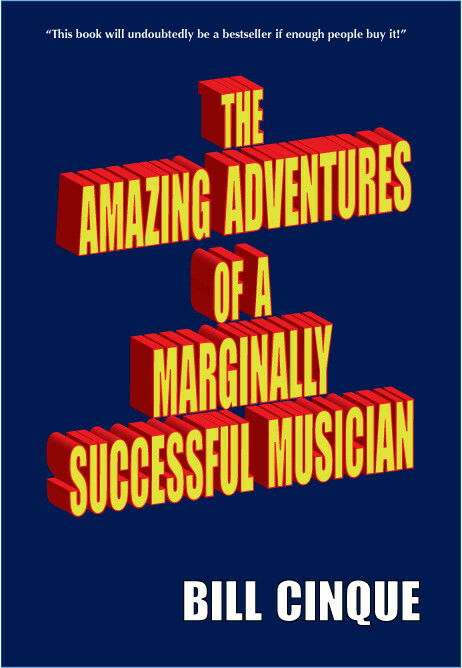 The Amazing Adventures of a Marginally Successful Musician is a collection of my observations and experiences in 30 years of playing music for a living. It contains some facts, many opinions, several music anecdotes and a handful of arcane references, all aimed at aiding the working musician. My sincere hope is that this book sheds a little light on some real world musician situations.